Disclaimer! Please read! I am not a medical professional in any way, shape or form, and this is not to be misconstrued as medical advice. I am simply sharing what has worked for me and others. It is your responsibility to discuss these matters with your physician. It’s been over a year since I brought on a new source of hCG Injections to my blog. This is because I don’t take it lightly. This isn’t a joke to me. I truly believe in what this hormone and this diet protocol can accomplish and that it wouldn’t be the same without it. As such I do not advertise any bottles of “hCG” that are premixed on my blog – I will create a post in the future detailing why I wouldn’t use this type of product on myself. I have a new source of prescription hCG Injections that I’d like to bring here onto my blog for you guys to consider. Their company is called River Front MD. I spoke with their manager at length about their product, where it is sourced, etc., then sat on it awhile, before deciding to add them here. In order for compounding pharmacies in the U.S. to produce injectable goods, they have to pass with flying colors a lot of standards and regulations. Many pharmacies actually don’t or can’t pass and are not allowed to produce this type of medication. You can check out the procedures for compounding here. Here’s an example of the kind of sterility testing that is done on the lots of hCG produced – testing that is done by an INDEPENDENT lab, meaning the results can’t be deviously skewed by the pharmacy to stay in business. First, both kits come with everything you need to mix and take your hCG on the diet. The 25 day kit comes with one vial of 5000iu hCG, and the 50 day kit comes with two vials of 5000iu. I’ve created a tutorial on how to mix your hCG injections for you. While amount of weight loss in so many days will vary based on a number of factors, I usually say that if you’re a women with more than 10 lbs to lose, you most likely want to buy the 50 day kit (now I’m not saying it will take you 50 days to lose 10 lbs, but it may likely take more than 25 days because you have to factor in loading weight, etc. ), and if you have 10 lbs or less to lose, the 25 day kit should suffice. If you are not sure what b12 is for, I like to think of the B vitamins as energy vitamins. If you are deficient in b12 and you take it, there can be a very noticeable increase in your energy and mood. Taking b12 by injection is the most effective method and the cool thing about this is when you add it on to your kit, since the b12 is added to your hCG mixture, you don’t have to take any extra injections. I think we are ALL good on that idea. What are lipo or MIC shots for? These contain 3 main amino acids; Methionine, Inositol and Choline. I’m going to attempt to break down the scientific jargon so we can figure out why these might be good for us to take. Wikipedia mentions this about lipotropics: “Lipotropic compounds are those that help catalyse the breakdown of fat during metabolism in the body.” So these compounds catalyse, or accelerate, the whole breaking down of your fat process. Even the word lipotropic is weird! Isn’t it? I went on a definition hunt with this one. Lipo just means fat, and tropic (troh-pic) just means “having an affinity for” – a natural attraction to. Tropic is not to be confused with the tropics, those lovely sand-sun-and-ocean places we’d all love to be lounging right now. Although it kind of still applies, as I’m pretty sure we ALL have a natural attraction to the tropics! But I digress. we could say lipotropic shots are composed of stuff that loves your fat, and thus will help break it down and cart it away faster, OUT of your body for you. Yay for goodbye fat parties. Methionine is an amino acid that accelerates the removal of fat within the liver. Inositol is a lipotropic agent which boosts the breakdown of fats in the body. Choline assists the body to efficiently burn fat while providing additional energy. Does This Mean you HAVE to Take Lipo Shots? I never took Lipo shots because I didn’t even know about them until I’d finished all my rounds of hCG. After researching them, I probably would try them out because I like the idea of ingredients that would make this protocol happen even more healthfully- since your body is indeed losing so much fat in such a short time, I do believe that is a lot of extra work for your organs, so being able to minimize strain in that respect appeals to me. 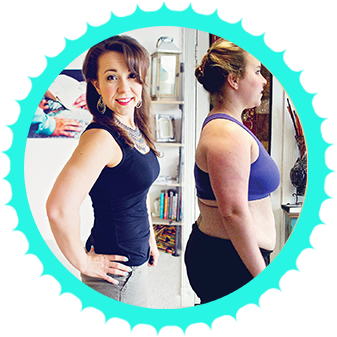 So I view them not as way to lose even more weight on hCG than you would have otherwise, but rather as way to really facilitate the fat loss process happening in a healthier way for your body. However, everything costs money doesn’t it, and we all know money doesn’t grow in the backyard, so if you are limited on funds, I don’t want you to think that you NEED the lipo shots in order to succeed on hCG because you don’t. I reached my own goal entirely without them. I consider these to be something to add on IF you have the funds. Chica, I have been trying to find a site to purchase the hcg and it seems they are disappearing. I tried Escrow refills and there site has an error going on and I don’t know of any other reliable site, please help!!! I am MTHFR homozygous so I take METHYLcobalamine, as I can’t “methylate” the B12. If anyone has the MTFHR mutation I would suggest they look into this. 🙂 Dr. Ben Lynch is a great source for knowledge on this subject.